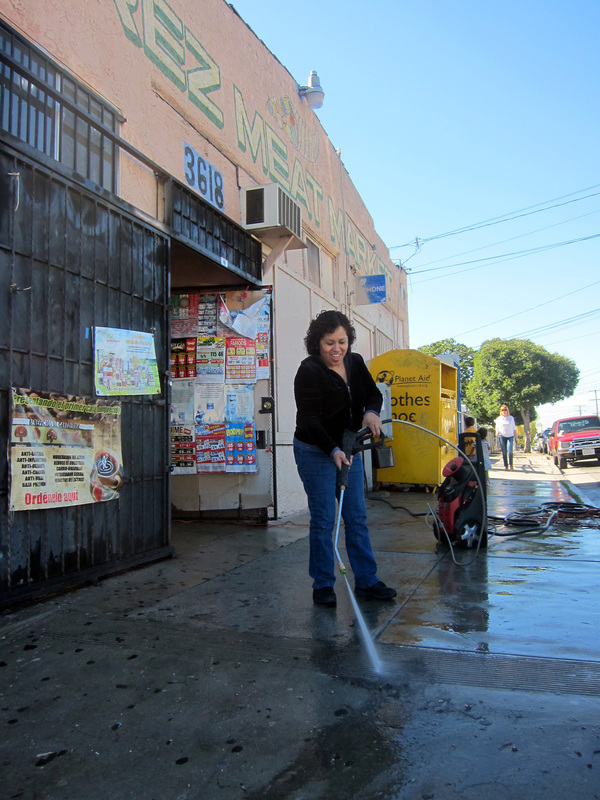 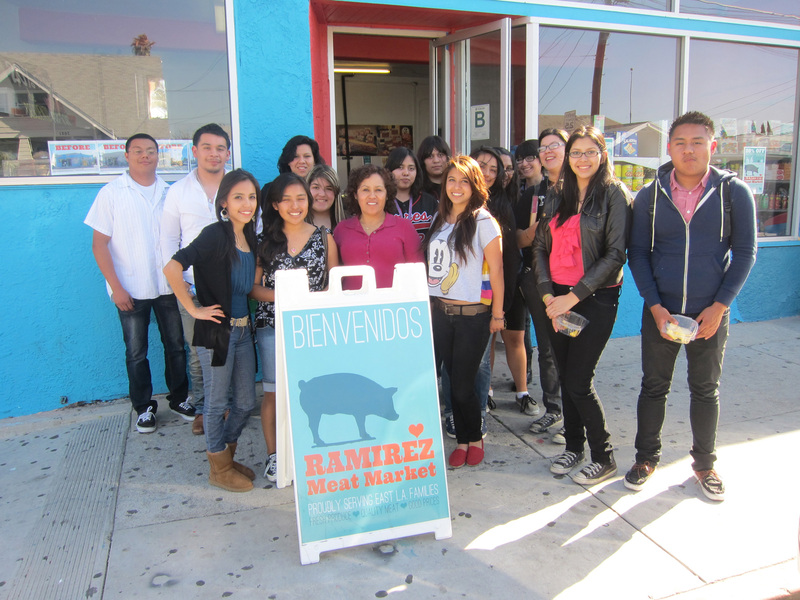 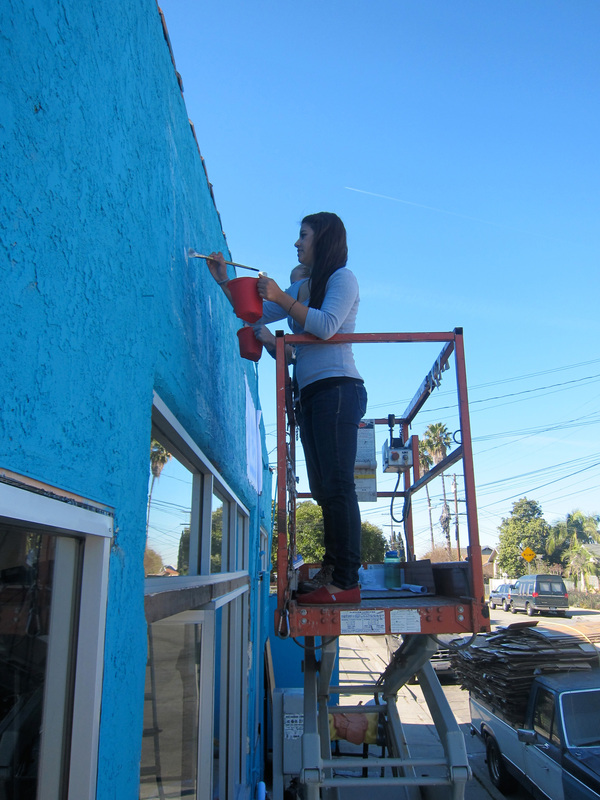 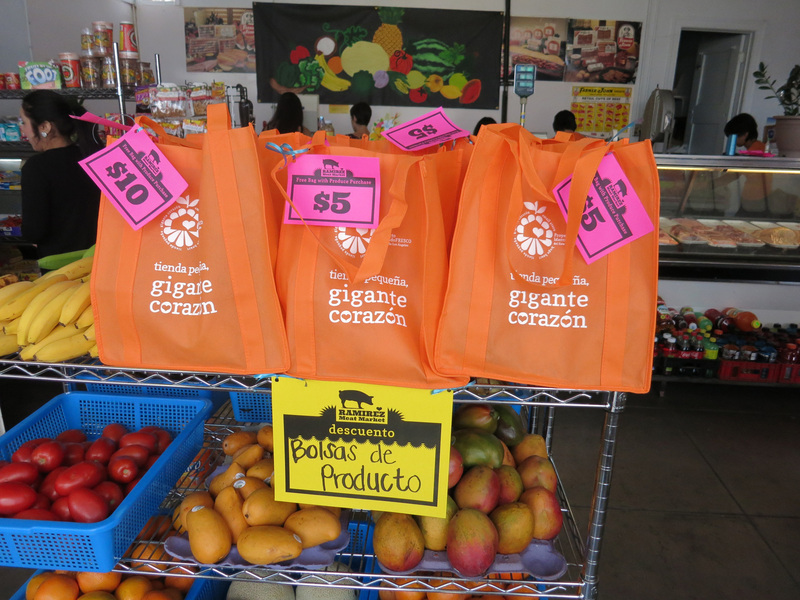 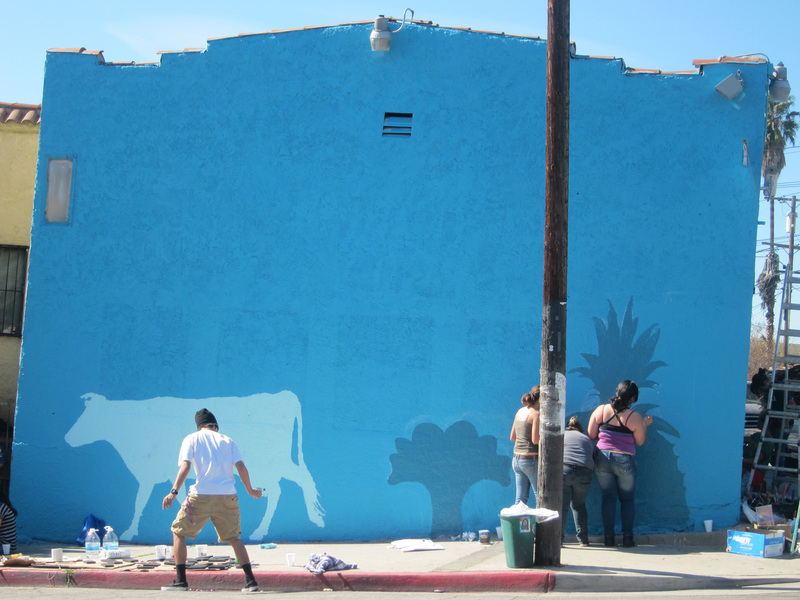 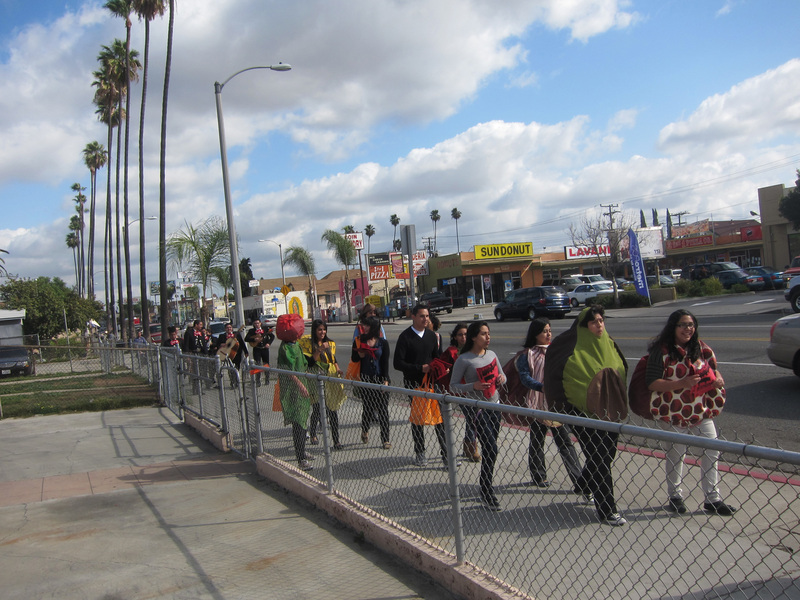 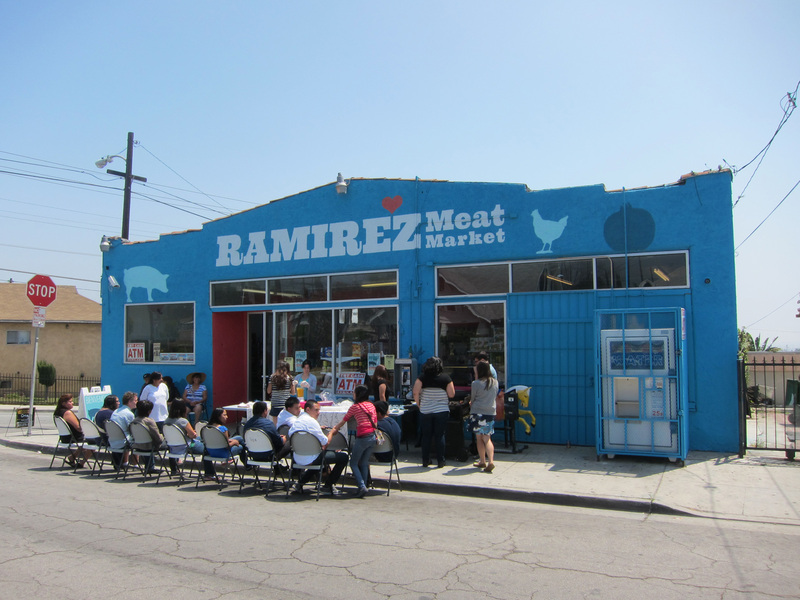 In January 2012, the second East LA Market Makeover store was revealed: Ramirez Meat Market at the corner of Folsom Street and Rowan. 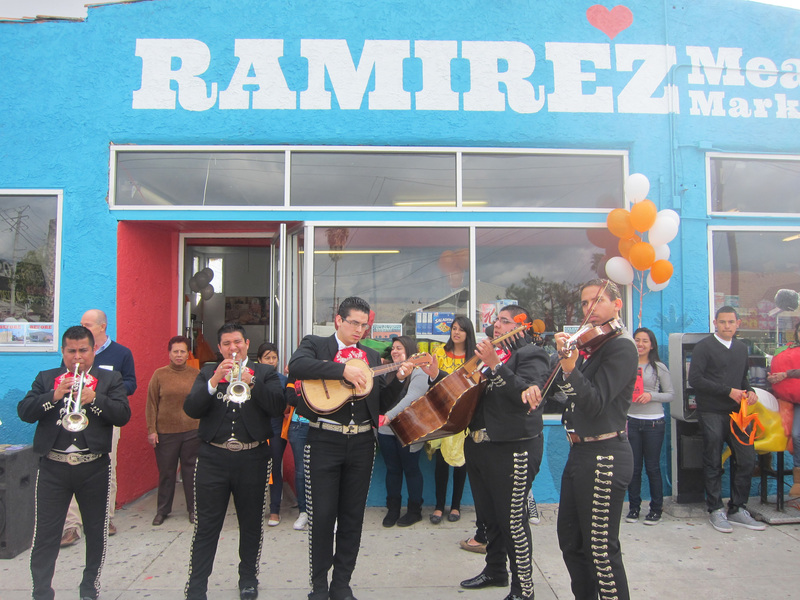 The Ramirez family, who have served the East Los Angeles community since 2002, worked with Public Matters and directly with Nathan Cheng to increase their business capacity. 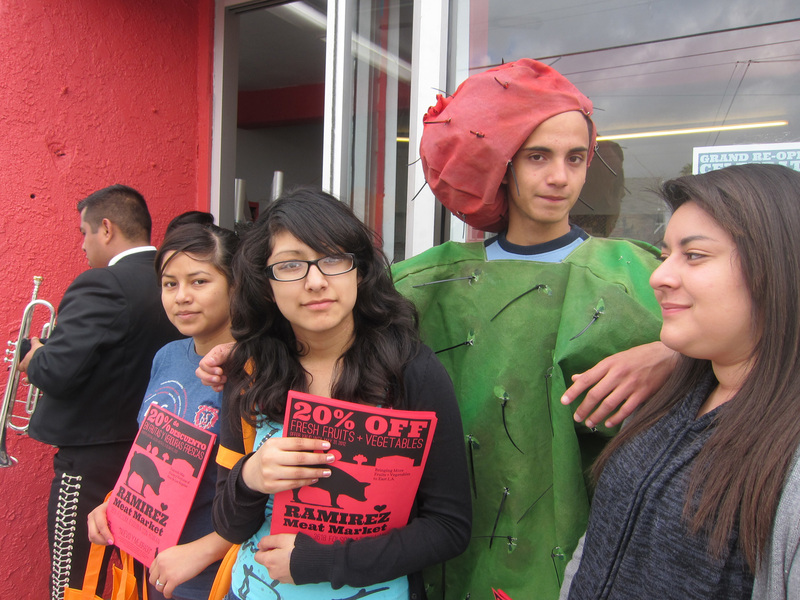 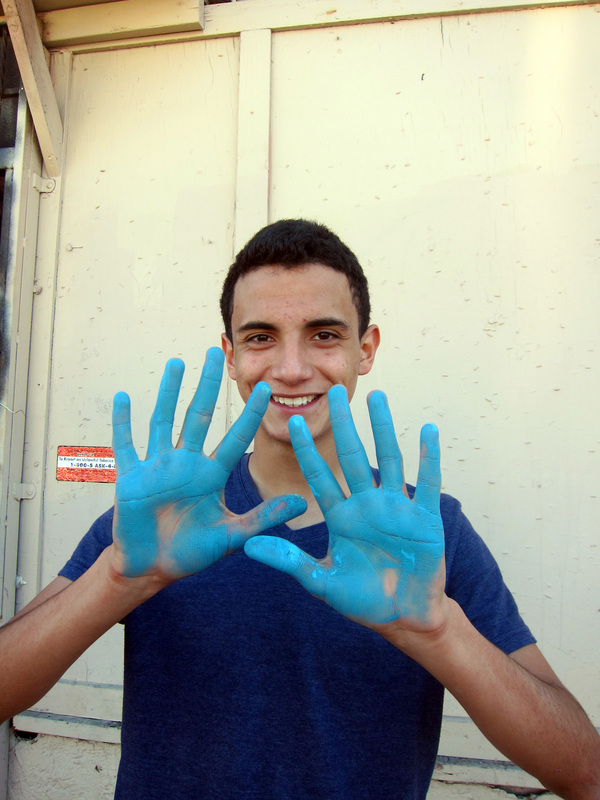 Crucial to the success of the Market Makeover was the collaboration with local students from East Los Angeles Renaissance Academy (ELARA) at Esteban Torres High School and The School of Communication, New Media + Technology (CNMT) at Theodore Roosevelt High School to transform and promote their store. 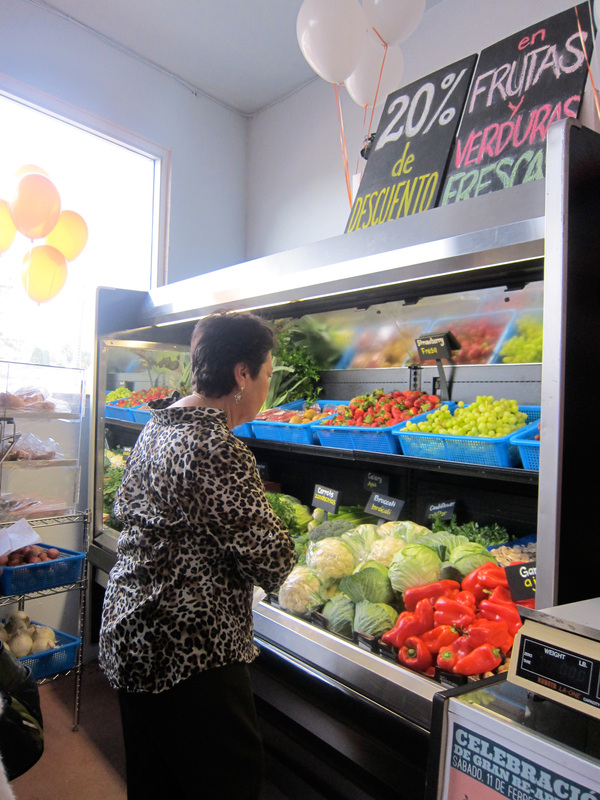 The physical transformation was just the beginning of the comprehensive Market Makeover strategy. 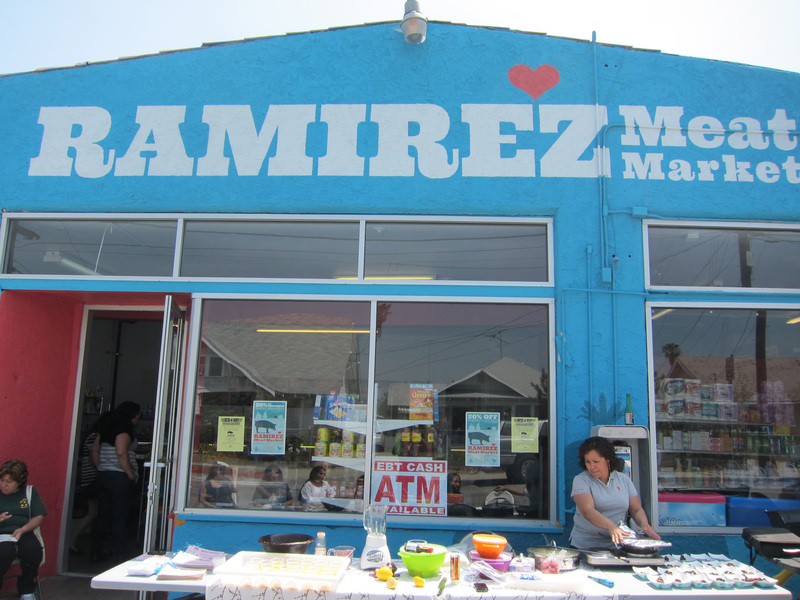 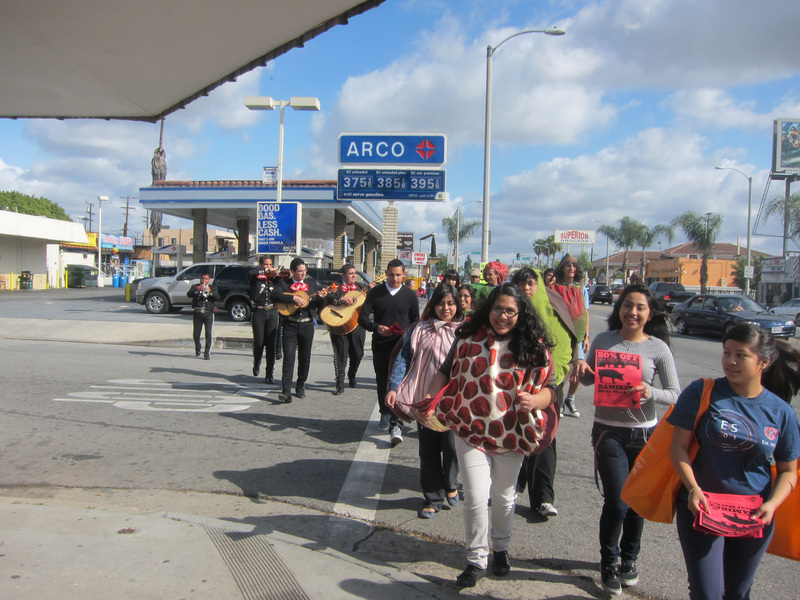 During two years, the Market Makeover Team carried out activities and events that guided Ramirez’s shift to a community health resource. 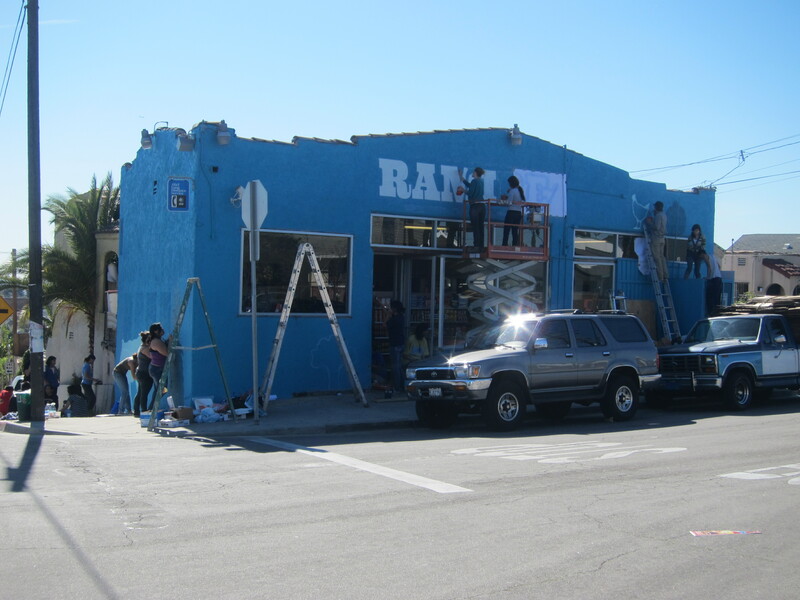 Like most corner stores, the windows of 3618 Folsom Street, were covered up – boarded up for security or plastered with advertising for beer or junk food. 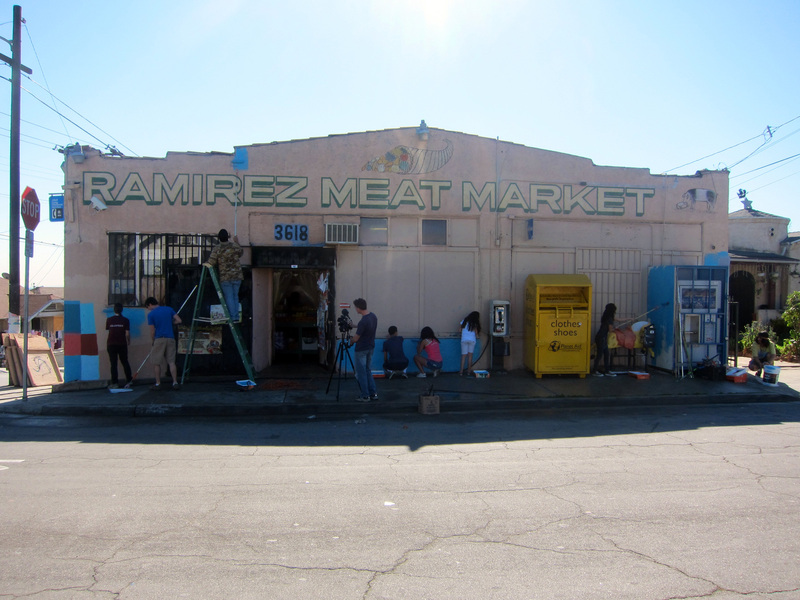 But changes came to Ramirez Meat Market. 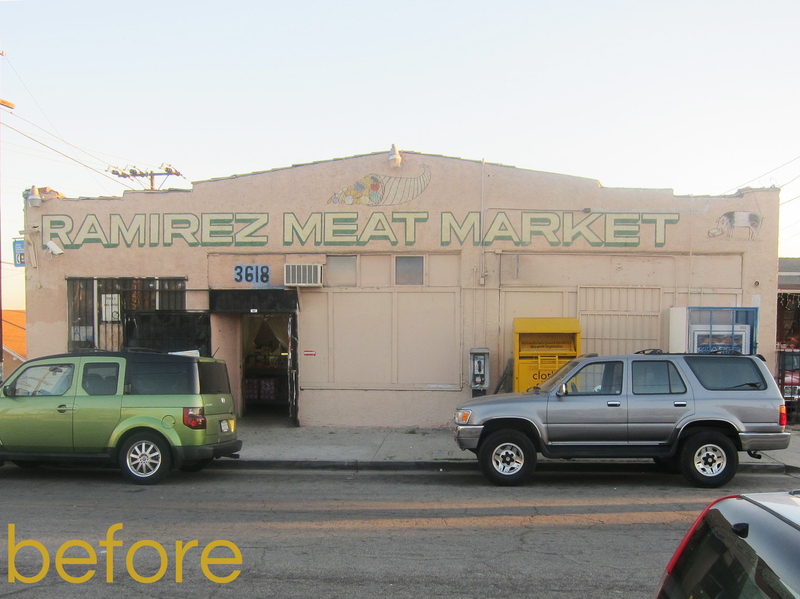 Public Matters worked with Nathan Cheng Consulting and the Ramirez Family to come up with the new color palette + exterior design treatment for the market’s exterior. 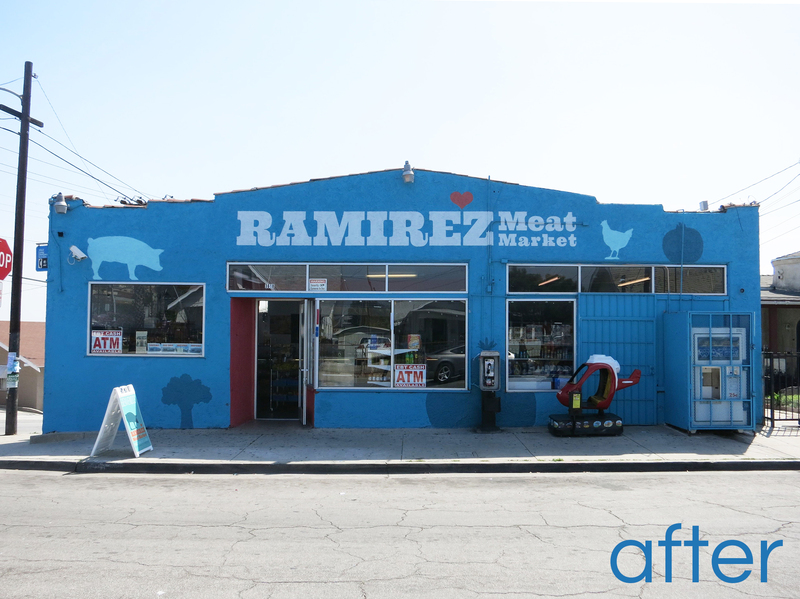 The selected color palette differentiated Ramirez Meat Market from its surroundings and yet conveyed a friendly attitude with its silhouettes of livestock + fresh produce. 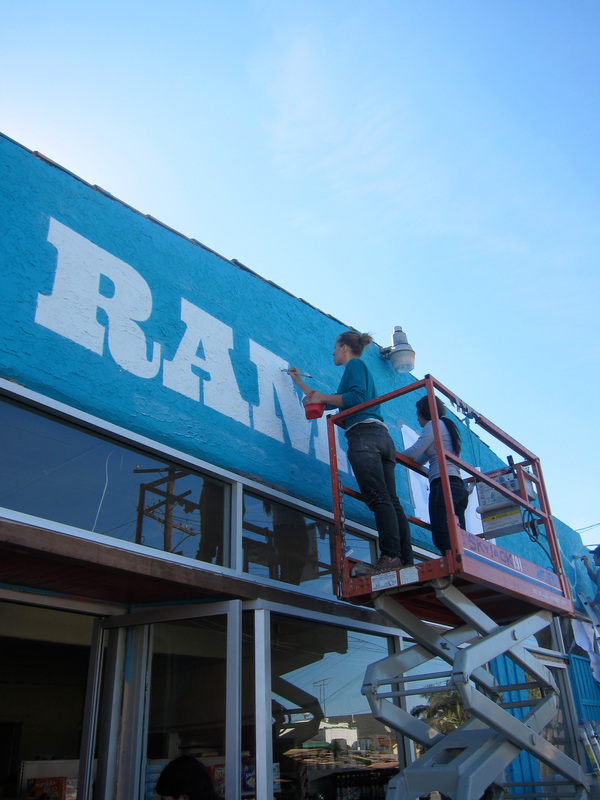 We were very fortunate to have sign painters extraordinaire Marjory Garrison + Brendan Ravenhill to execute the design alongside a cadre of local youth + volunteers. 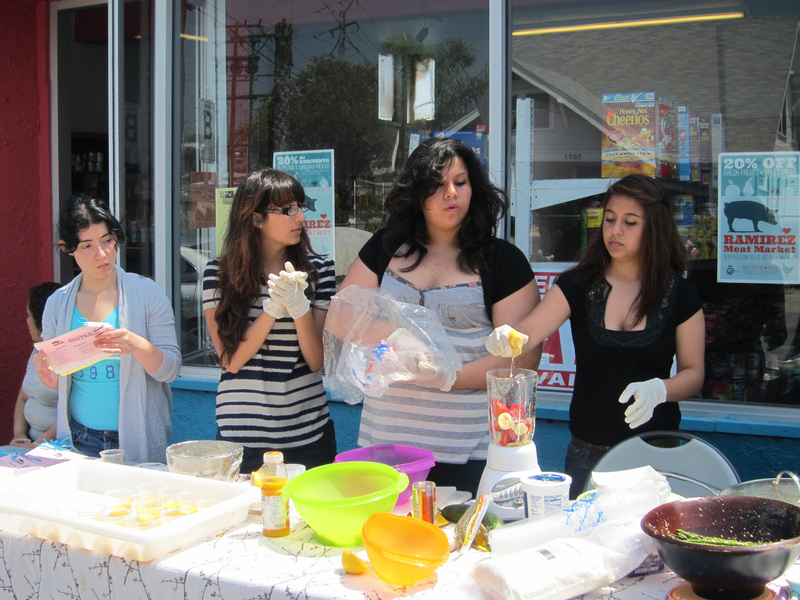 They were also kind enough to introduce ELARA student and creative spirit Jocelyn Herrera to their craft. 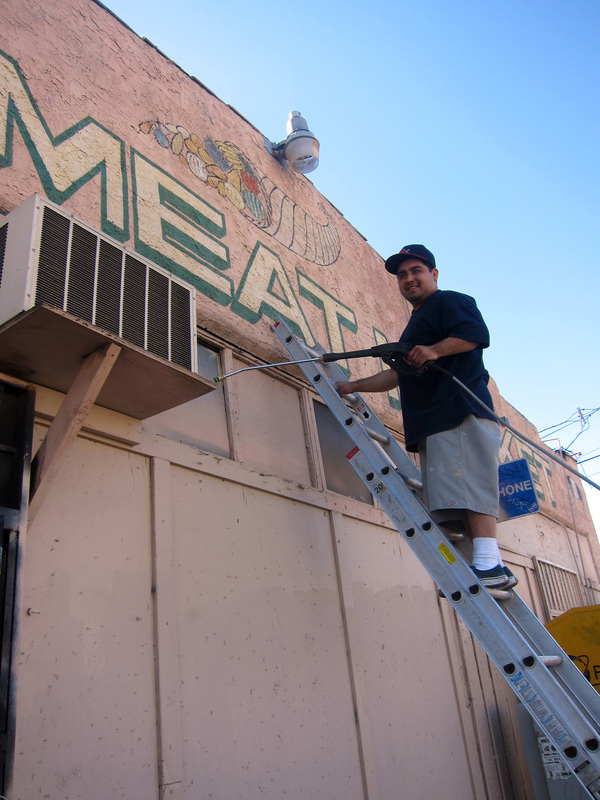 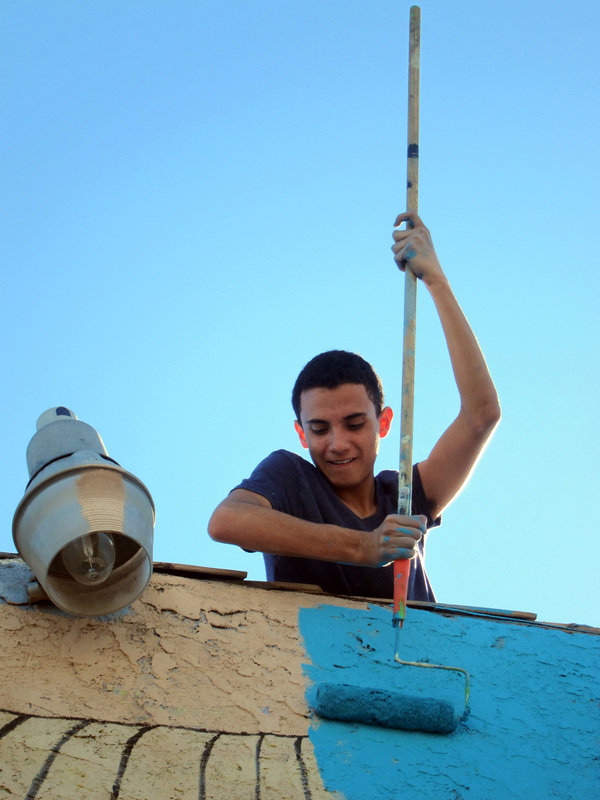 As we were painting the exterior signage, we found out from Julio Ramirez that when the family first opened the store years ago, his father had images of livestock painted on the side wall on Rowan Avenue. 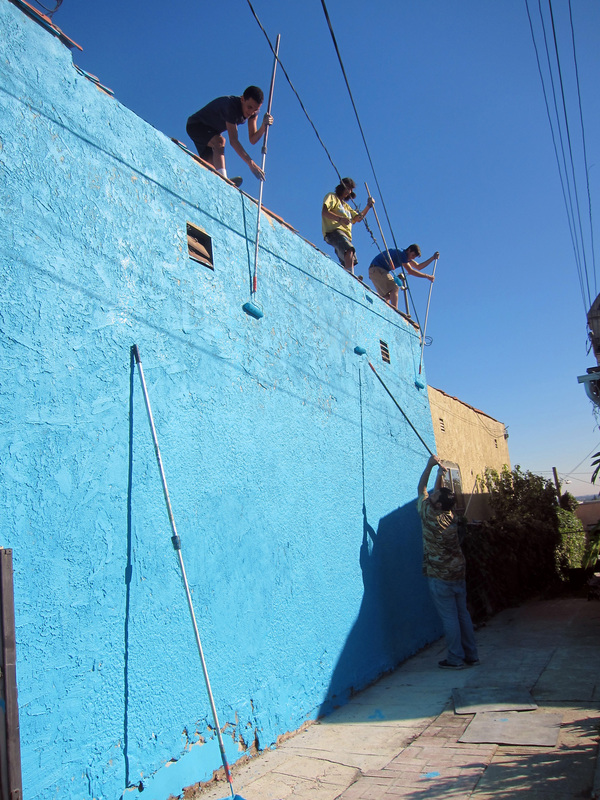 Over the years, it got tagged over and eventually obliterated. 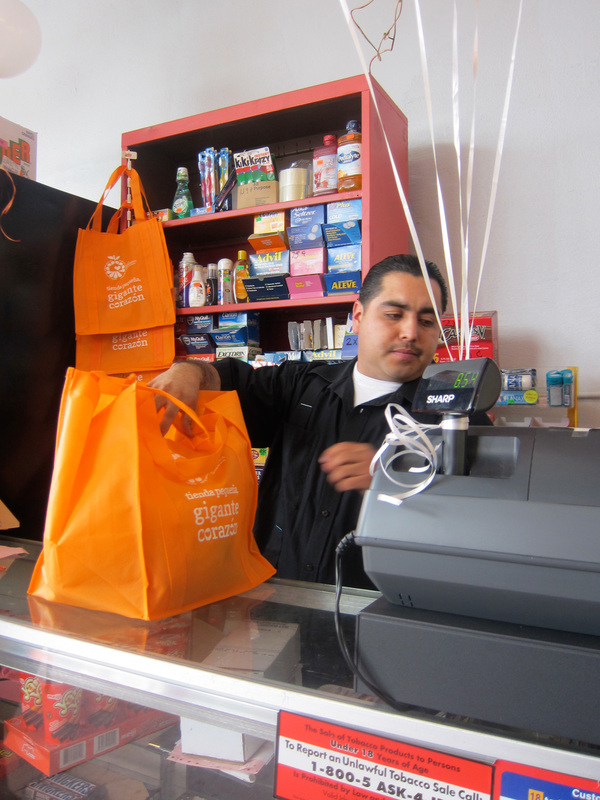 Serendipitously, the new design connected the store to its early roots. 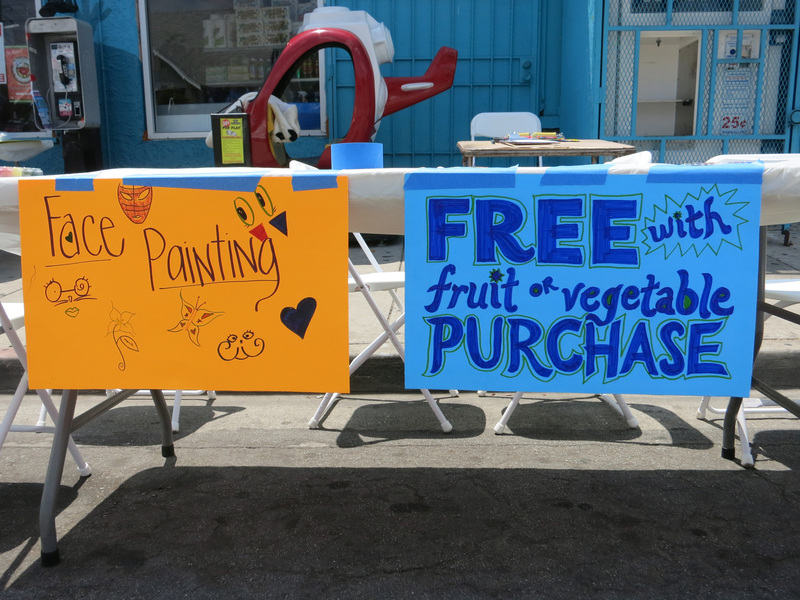 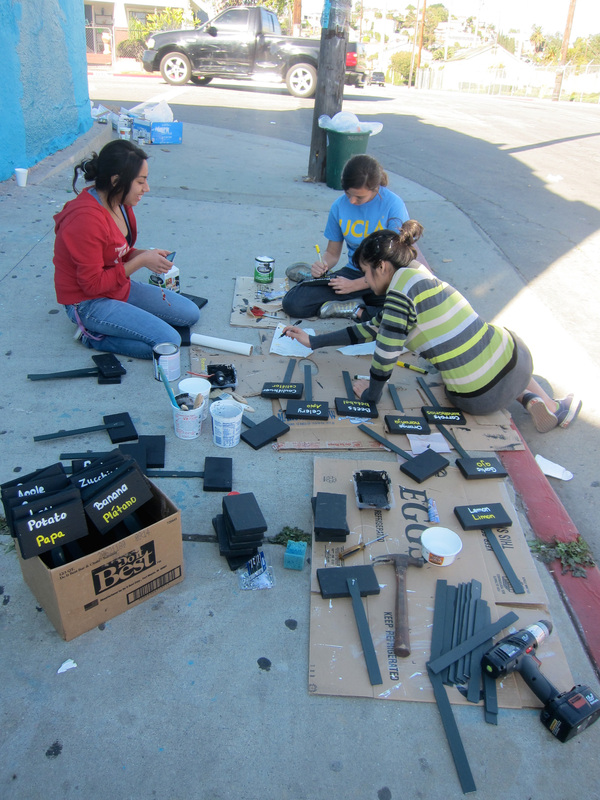 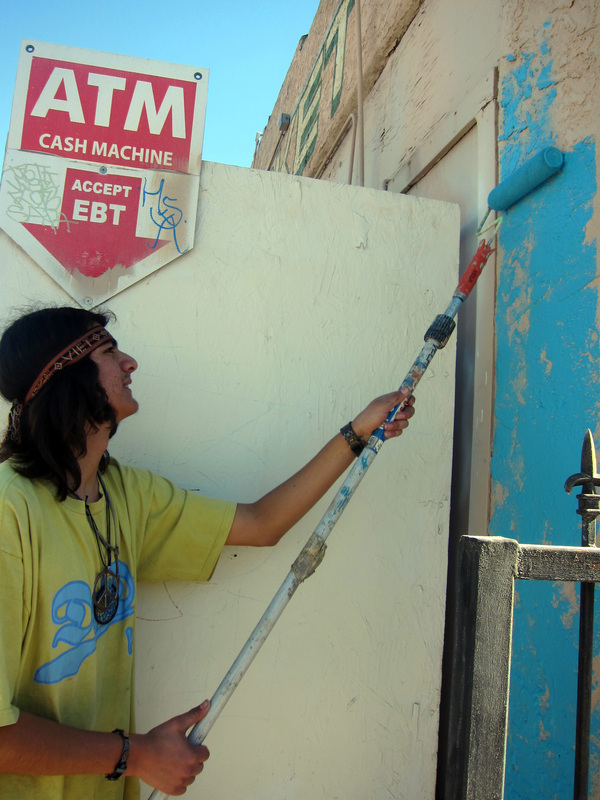 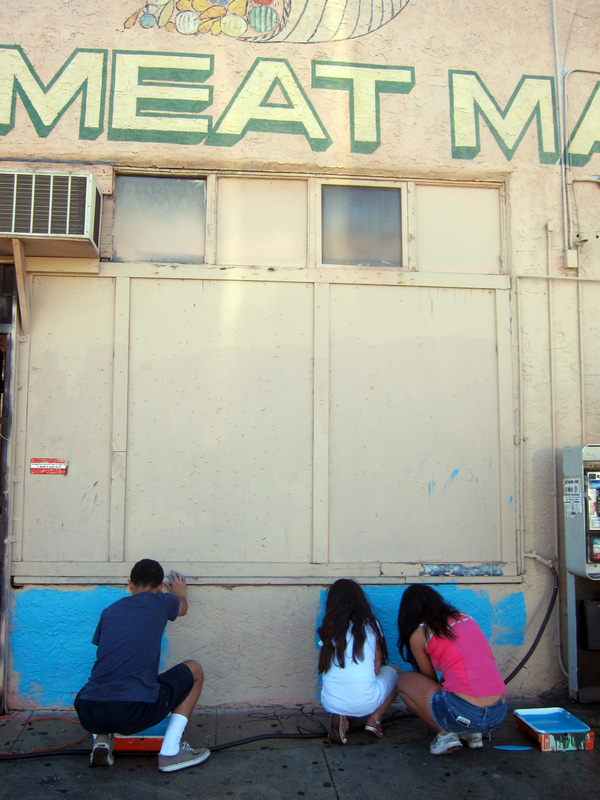 While the Ramirez Meat Market’s exterior got deluxe paint treatment, students from ELARA and CNMT worked together to create hand-crafted signs for the forthcoming inventory of fresh produce. 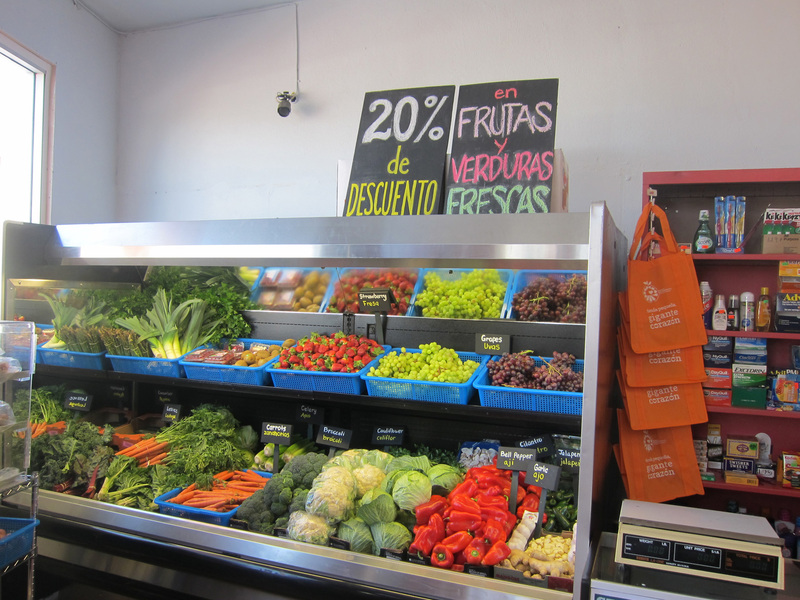 The produce cases were illuminated by the natural light that flooded the space, and the hand-painted signs directed consumers to the healthy delights in two languages. 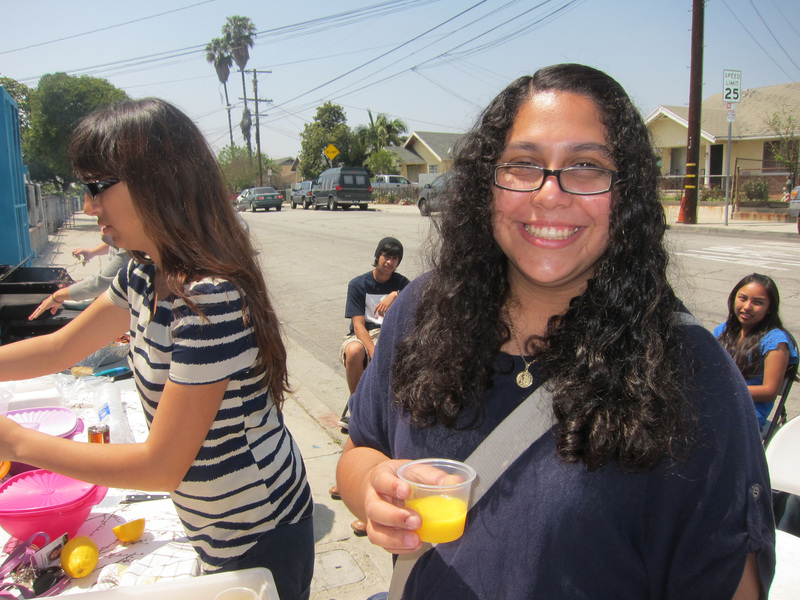 In total, the physical transformation took place in about two months – a whirlwind! 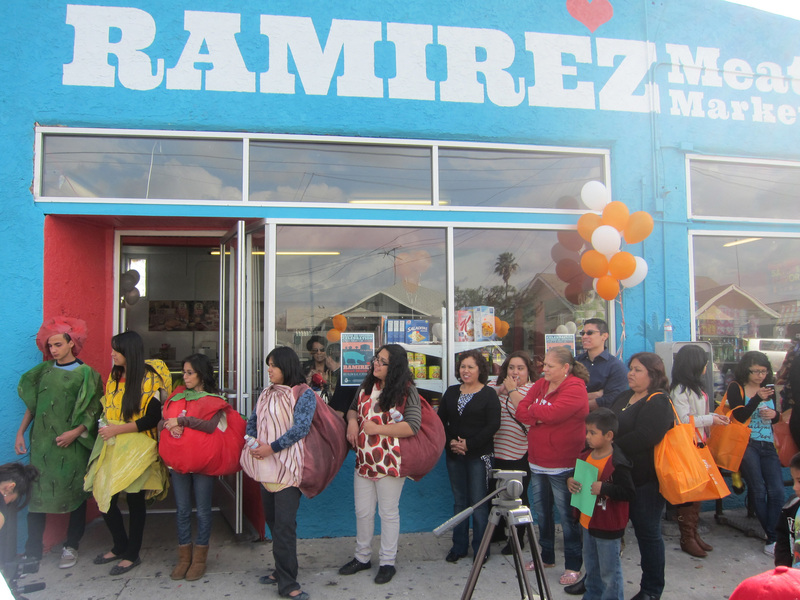 On Saturday, February 11, 2012, Ramirez Meat Market re-opened to offer East L.A. residents a new inventory of fresh fruits and vegetables, the result of a collaborative effort by local youth, community members, the Ramirez family (storeowners), UCLA students and staff, Nathan Cheng Consulting, and Public Matters through the UCLA-USC Center for Population Health and Health Disparities (CPHHD)’s Proyecto MercadoFRESCO. 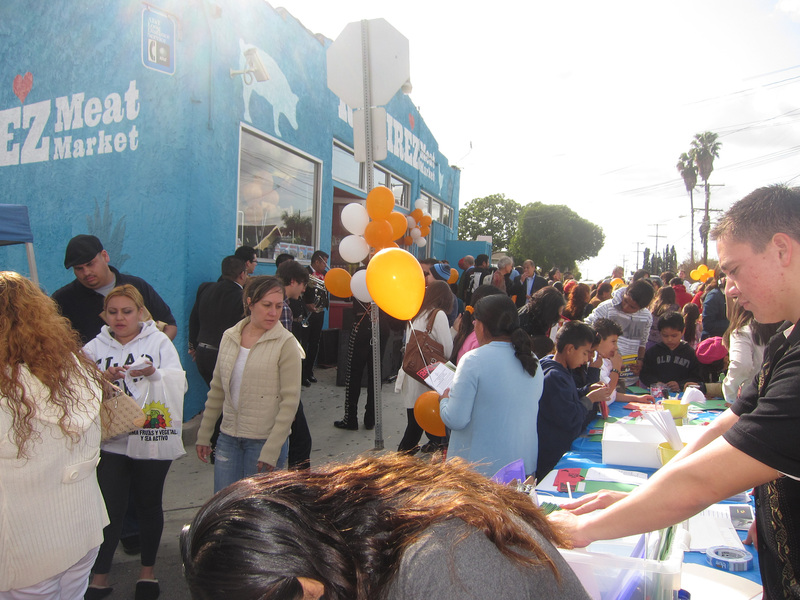 There was a great local turnout, with giant fruits + vegetables, community organizations, delicious food and mariachis making for a festive atmosphere. 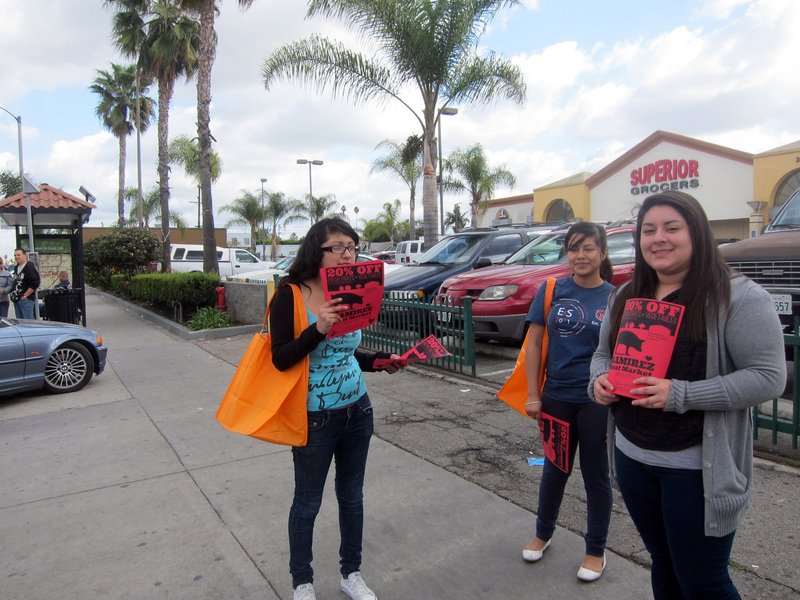 Not content to limit the party to the corner of Folsom + Rowan, the band of mariachis, fruits + veggies and volunteers hit the road with flyers to spread the word around the neighborhood. 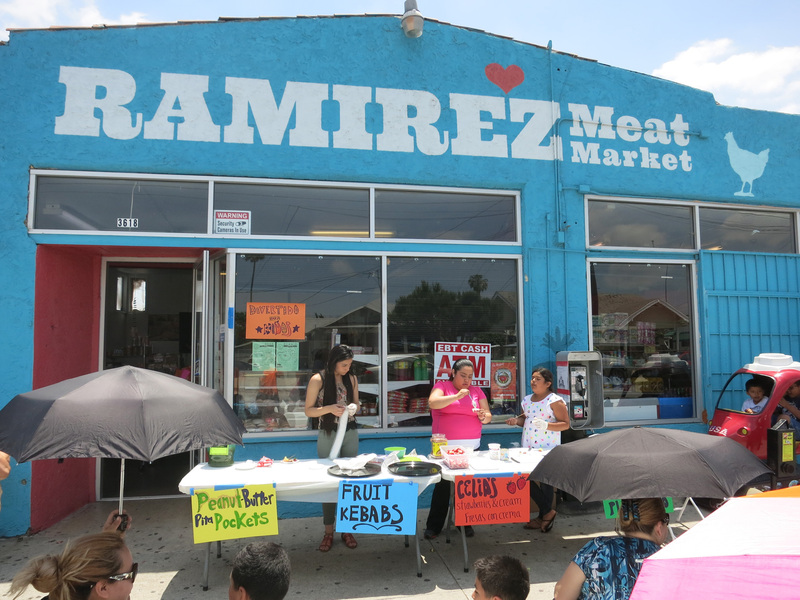 MercadoFRESCO interns| ELARA students Jocelyn Herrera + Ylse De Los Santos + Jessica Rodriguez teamed up to produce + promote the second installment of QUICK + EASY + AFFORDABLE MEALS, at Ramirez Meat Market on Sunday, April 22, 2012. 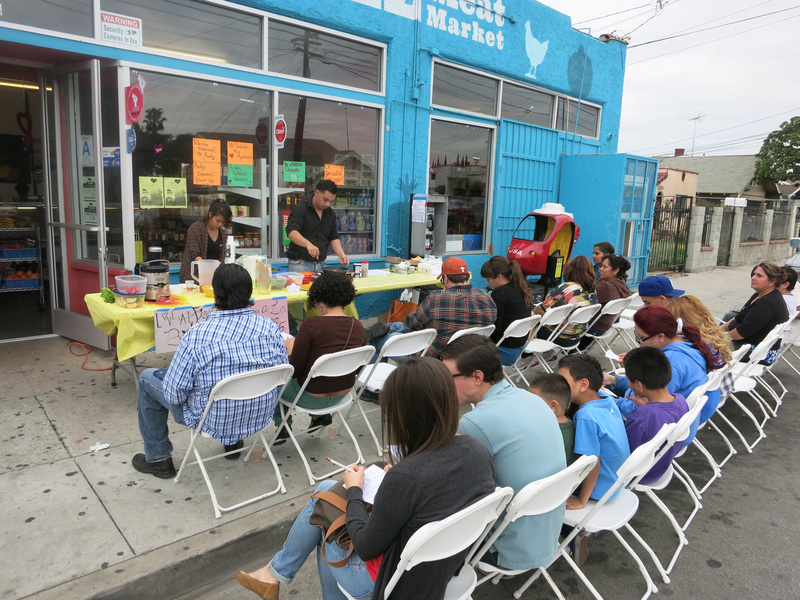 This marked the first MercadoFRESCO Cooking Demo at Ramirez Meat Market. 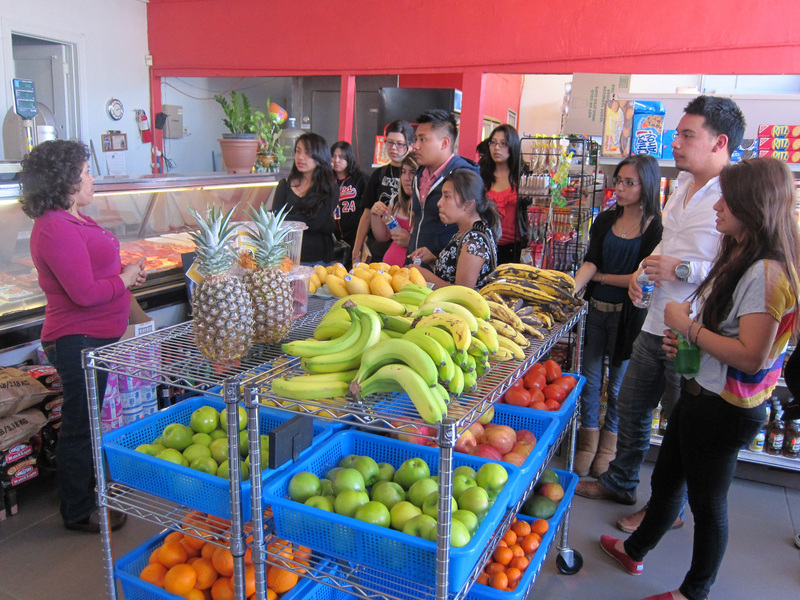 To prepare, ELARA students met with owner Celia Ramirez to discuss options. 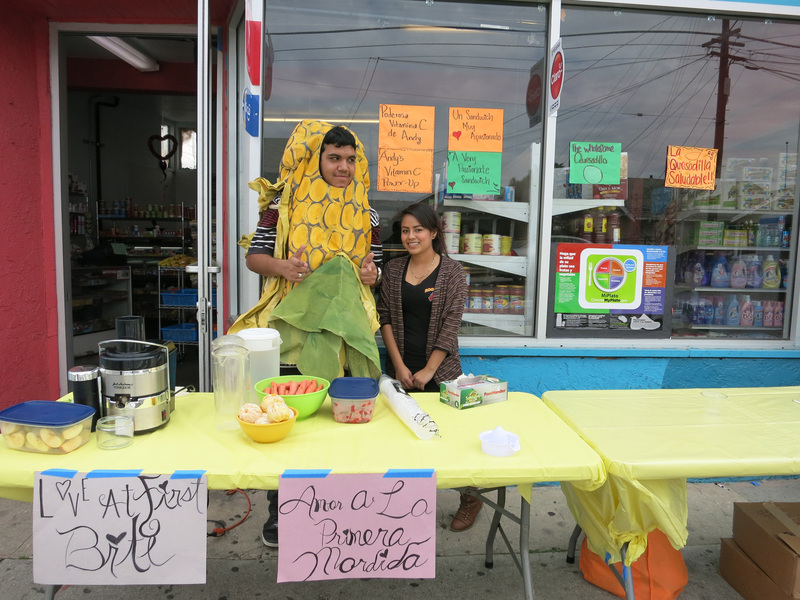 In preparation of Valentine’s Day 2013, the MercadoFRESCO interns turned out recipes and cooking demos to inspire some affection between local residents and healthy fruits and vegetables. 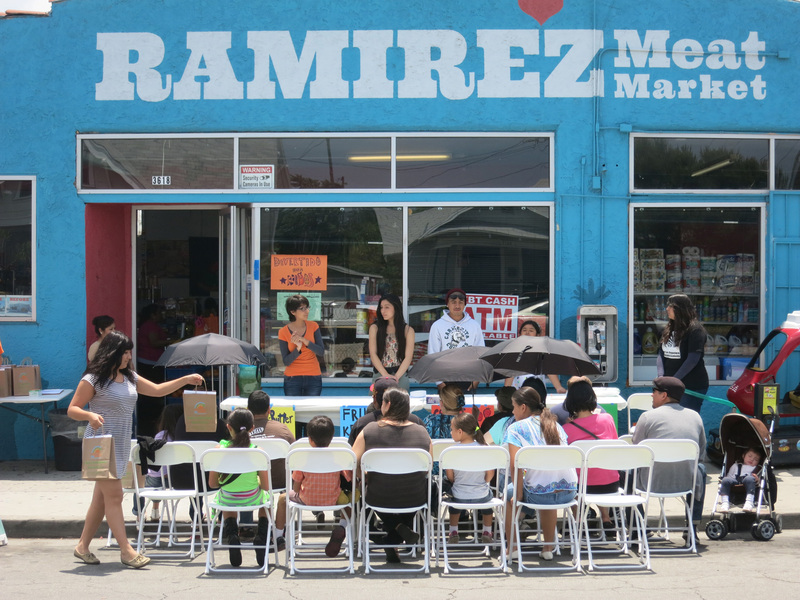 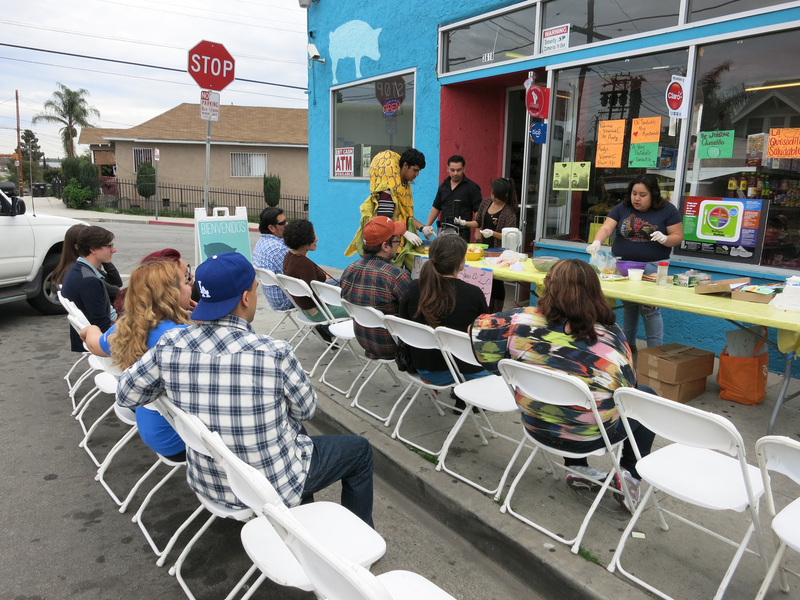 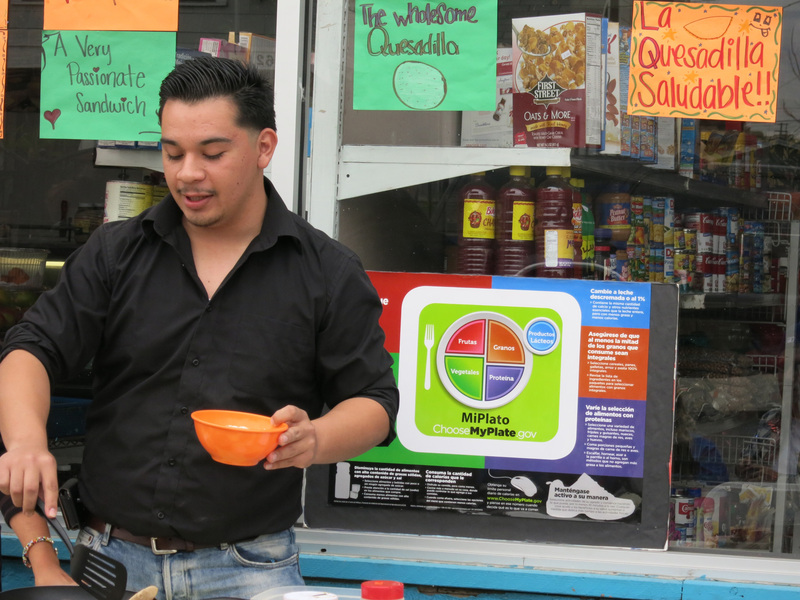 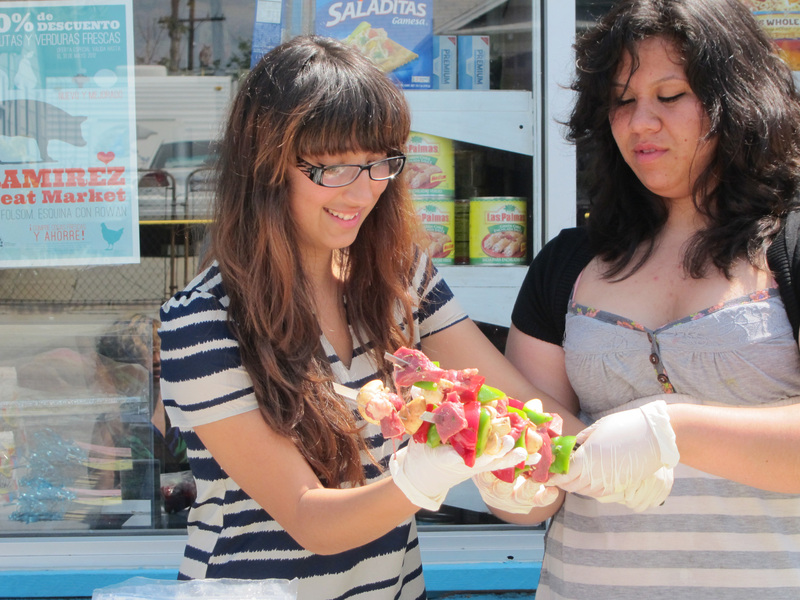 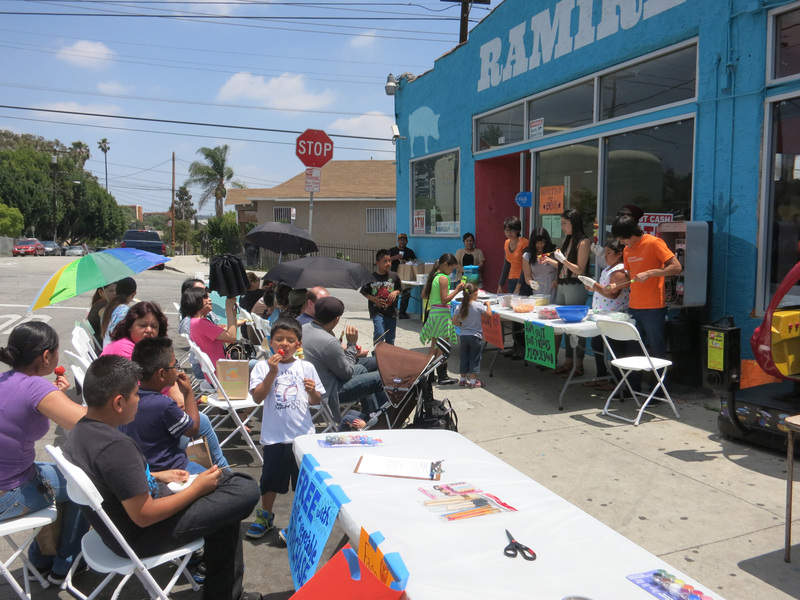 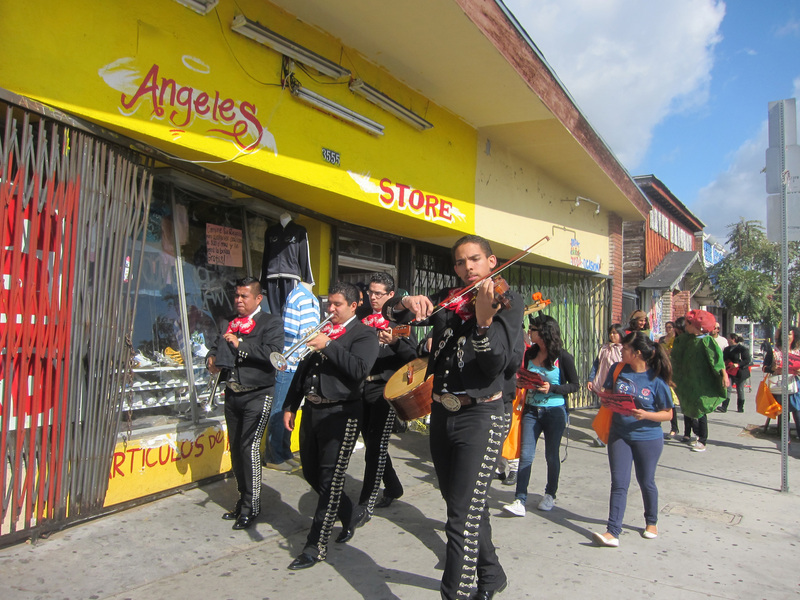 The wonders of healthy eating via public activation of Ramirez’s front sidewalk continued through 2013, with the Magic of Healthy Demo led by MercadoFRESCO Interns. 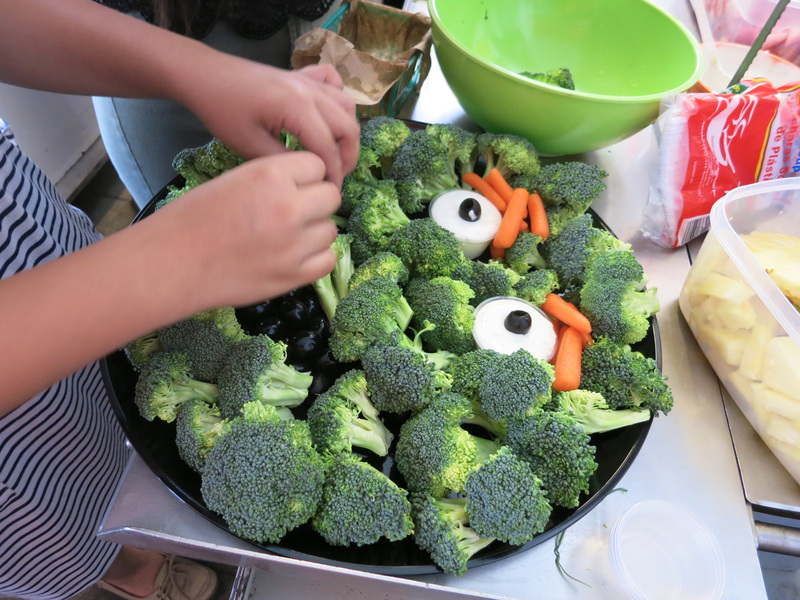 On a sunny spring day, the Interns turned out humorous and astonishing recipes for families with children of all ages.